Congratulations Cheryl for being in the spotlight again this week!! If you would like to spotlighted upload your copic creations to our Facebook page. This is the perfect opportunity to share those copic creations that don't always fit into challenges. We can't wait to see them!! 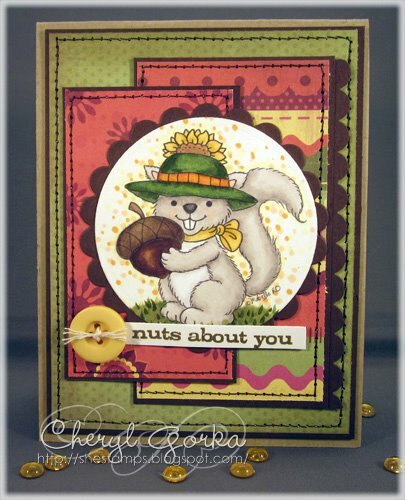 Cheryl - another gorgeous card!!! Love that little squirrel and your sentiment is perfect! Thank you! I am thrilled to be in the spotlight!